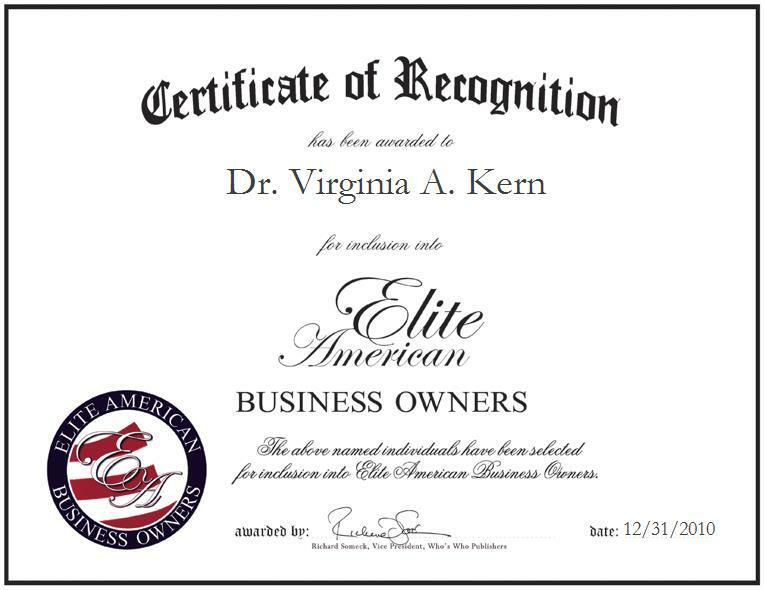 Mesa, Arizona, December 31, 2010, Dr. Virginia Kern, Owner of East Mesa Animal Hospital, PC, has been recognized by Elite American Business Owners for dedication, achievements, and leadership in veterinary medicine and care. Dr. Kern earned a DVM from Iowa State University in 1971, after having already received a Bachelor of Science in medical technology from the University of Colorado. To keep abreast of industry changes, she is affiliated with the Arizona Veterinary Medical Association, the American Veterinary Medical Association, and Phi Kappa Phi. Accrediting her success to her hard work, Dr. Kern intends to put all of her future efforts toward the growth of her practice. For more information about East Mesa Animal Hospital, PC, please visit http://www.myvetonline.com.